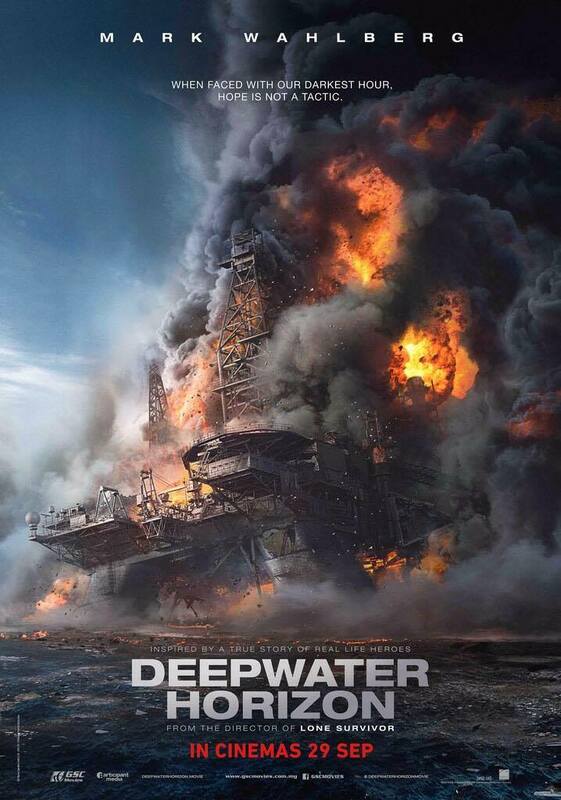 Peter Berg (Lone Survivor), recently directed a new film based on a true story, Deepwater Horizon. This is the story of the catastrophic explosion that rocked the offshore oil rig. It’s an effective piece of action filmmaking: loud, raucous, and filled with some gripping moments of real dread. The story is about a group of engineers who explains the deeply complex and technical work of a floating offshore oil prospecting and drilling rig. Their job is a risky one. It’s somewhat a bit complicated — as it takes you through failures that happens over time. And what comes after that is kinda like Titanic except with mud and fire instead of cold and ice, but no romance. Deepwater Horizon shows how corporate greed, focusing on profits, and significant inconsideration can lead to a man made disaster. During the climax of the movie, the disaster begins. Soon men are fighting for their lives on a burning oil rig in the middle of the sea. The Deepwater Horizon disaster will be seen as a powerful metaphor for humanity’s arrogance in the same way. Deepwater Horizon is immensely intense and suspenseful even when you already know the general outcome. During the movie, you will see how selfish a human can be and one wrong decision may causes a disaster. I really like how the story line at the middle of the movie after the disaster. How the actors help each other during the disaster even though they are individually injured. It is really touching too when the survivors finally get to be reunited with their family. It is a moment most treasured. There is nothing like home. We will never know what will happen next in our life, what we can do is just appreciate every moment we have a make full use of it. Overall, this movie is quite good, it ratchets up the tension nicely. I was actually quite tensed up during the movie because some of the scenes are quite thrilling. Alright, i better not review too much of the storyline. If you want to know more about the story, remember to watch it at the cinema on 29th of September!